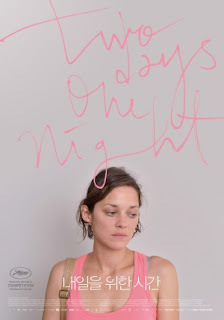 Marion Cotillard has the titular time to try and convince her co-workers not to take a bonus that will result in her being laid off from work. The Dardenne brothers have a knack of extracting amazing performances from their actors which they allow to drive their films. Their directorial style is unflashy but fully thought through with their use of long takes drawing the viewer into the story. Simply put this is one of the best drama films of recent years.